On Sunday 15th of July the Docklands Community Garden was opened in the middle of this new suburb. This is the product of hard work over three years of the Docklands Community, Cultivating Community, government, and a social enterprise I am involved with called Urban Reforestation. These people united together and showed a strong vision and it is a project, which the City of Melbourne and Places Victoria saw was a worthwhile one to invest in. To me, this is the beginning of a special story in Melbourne, which marks the beginning of a strong Creative Communities movement throughout the suburbs of wider Melbourne. Some of the older suburbs around central Melbourne have been the Creative Communities and sustainable lifestyles stomping ground for decades. However the Docklands is a place where a sustainability project has been ‘mainstreamed’ and was opened by the Planning Minister Matthew Guy, because he sees the importance of projects like this. The concept of a Creative Community is seeking to define creativity through a series of innovative responses to the various problems that crop up in everyday life, particularity relating to sustainable lifestyle challenges. Creative Communities are on-the-field creativity (and therefore innovation) triggered by the real context of needs, resources, principles and capabilities. Creative Community projects can be interesting because they are innovative, but they are also aesthetically “beautiful” and engaging. I will describe below (also read Creative Communities; People Inventing Sustainable Ways of Living by Anna Meroni - I provide a link below). - Bee hives with yummy honey and I am sure you and I can think of many others – this is the power and beauty of creativity! Melbourne is renowned for being the world’s most liveable city. Mind you this is based on criteria of “liveable” from an HR firm in London: http://theconversation.edu.au/liveability-prizes-are-nice-but-we-have-to-er-live-here-3194. So lets really challenge what ‘liveable’ is and become active in our community to make it sustainable. Then I think we will be a much more liveable city a have many creative communities enriching our city. The Docklands is a prime example for sustainable development because everyone in Victoria can see it is known as a ‘concrete jungle’, that needs to feel a better sense of place. So, this can be the epicentre for change and a blue print for how you look at developing communities. If we get it right there, and then we move it out and inform policy changes in other suburbs. We need creativity, good design and beautiful vision in all sectors. There is so much opportunity for change in communities, if developers, policy makers and communities can all work together: we can create healthier and happier places for people to live in around Melbourne. Policy Makers are Designers too! Urban Reforestation hopes to see more projects like this community garden supported in the future, in the Docklands development and around Melbourne. This means Victoria needs better planning policies to support sustainable development and healthy communities to thrive. In most instances communities know what is best for their place, so developers and local councils need to work closer (side-by-side / co-designing) with communities to achieve better outcomes for all parties involved. 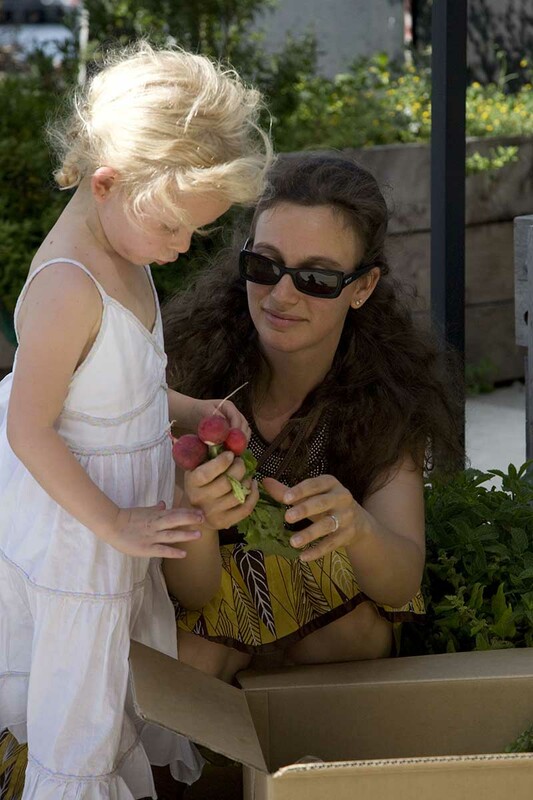 This Docklands Community Garden project and its best practice service design models and processes can be a blueprint of how sustainable development can occur in Docklands and beyond. In order to design sustainable communities and places, we need to have policy “designed” that supports the implementation and design of places. Our policy makers are designers too and they need to work closely with our urban designers and planners to achieve this vision. Otherwise, there is a “blackbox” and disconnect between the policy and the actual reality on the ground. We can make a difference in our communities and they can be protected in the course of development which is not taking into account people and place. We must be active in the planning process to help Premier Baillieu and Planning Minister Matthew Guy decide how our suburbs and city are designed, with community spaces included and avoid putting housing on our precious farmland. We need to ground our concerns and ideas in our own community and ‘territory’ and design them ourselves and on occasion with assistance from local councils, good developers, private enterprises and community organizations. Little strategic projects (I will list some inspiring ideas of creative community projects below). Think of this as a kind of “back yard blitz” for keeping our communities happy and healthy places. Be inspired by the Australian “DIY” spirit and apply this same spirit in your community. We can transform our places. Enjoy it, because community designing can be fun. Support local community gardens and support local farmers. Food is an integral part of a sustainable city. Use social media as a basis to communicate. Develop your own local projects and unite your communities to take action. We cannot sit back and let one or two people (Premier Ted Baillieu and Planning Minister Matthew Guy) decide the fate of how city is designed. We as communities have the power to take action and ensure this city is happy and healthy for the future generations. Join “On the Edge Movement” http://www.facebook.com/pages/On-the-Edge-Movement/250667654959072?ref=ts which aims to protect the farmland of Melbourne. Emily’s vision is to inspire and enable a transformation of urban environments, communities and businesses to places that have community connectedness, social entrepreneurship, vitality and lots of green! She has a Masters of Environment and Sustainability from Monash University and studied business and history as an undergraduate. 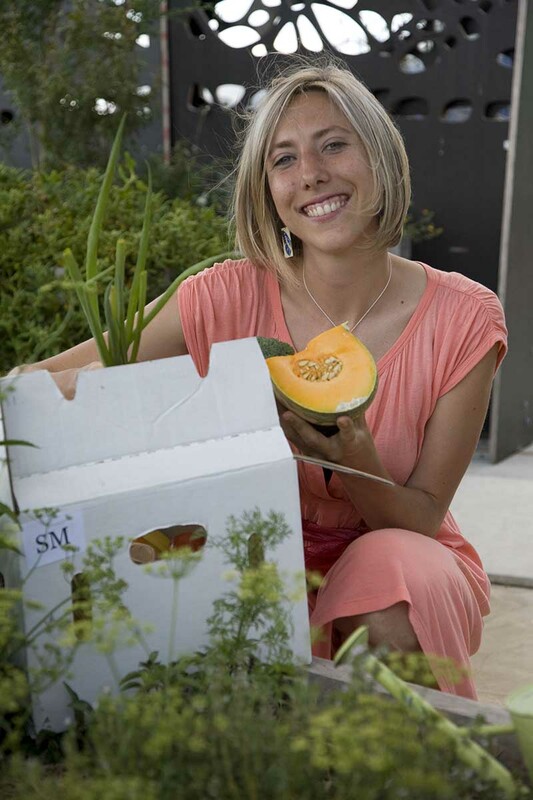 She was awarded a finalist in the United Nations of Australia Sustainability Entrepreneur award in 2011. She believes people can transform our communities towards sustainability through design and good business (social enterprises). Design coupled with good business enables us to ‘re-vision’, be creative, consider aesthetics, set strategies and connections with integral stakeholders in place to achieve the vision. She has carried out research around the world in sustainable design. 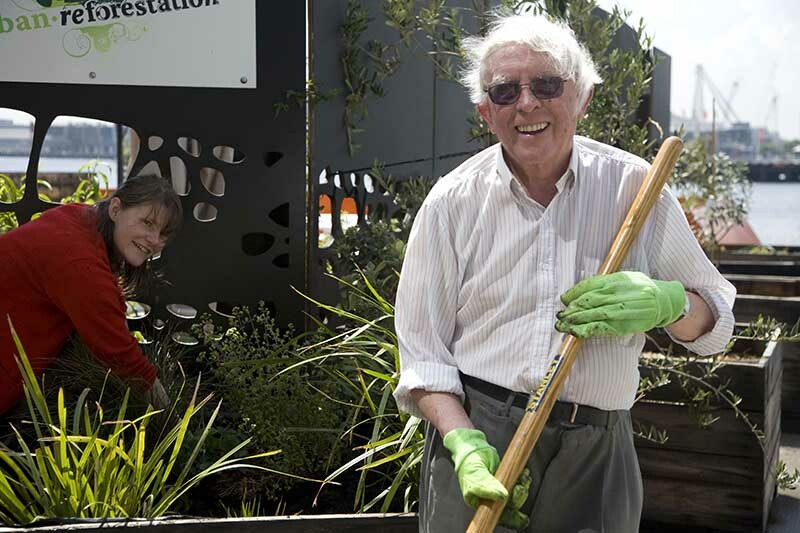 Older PostNEW DOCKLANDS COMMUNITY GARDEN OPEN!